As promised on Friday, here are the high resolution photographs of what was to me, the highlight of the show. 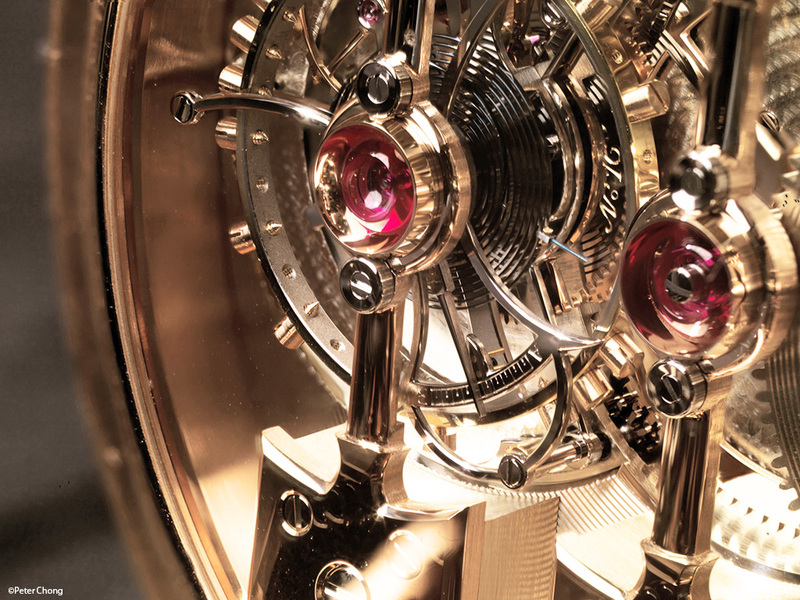 The historically important Esmeralda, a wonderfully decorated, beautifully restored pocket watch tourbillon with three golden bridges. But I will present those photographs another day...for today, a modern watch. 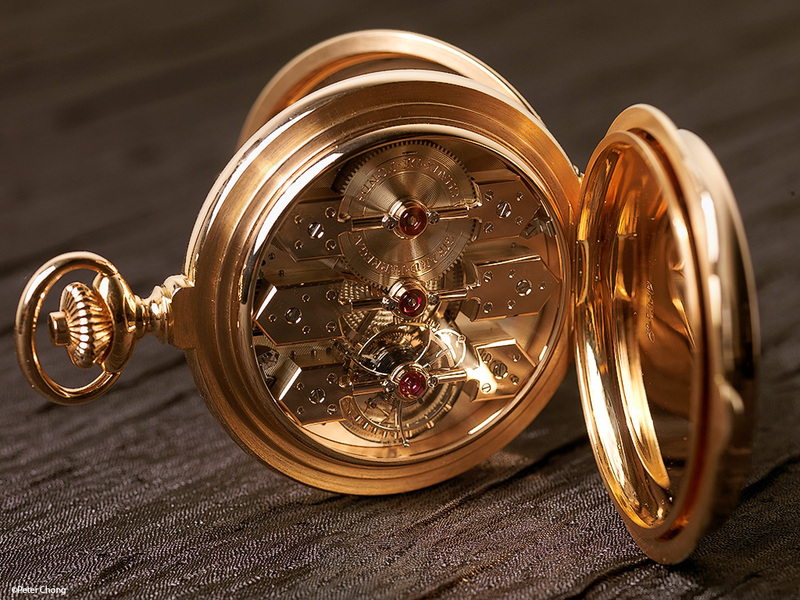 And to give a flavour and spice to the Esmeralda, GP makes a pocket watch with the three golden bridges as a special limitation...approximately one a year (actually less) since 1980. 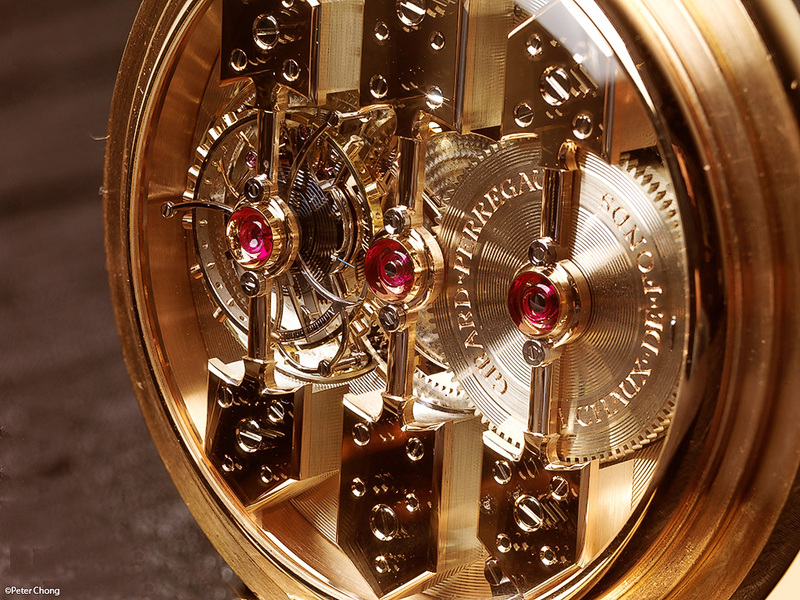 This is number 14, and is so beautiful. This is a very deep stack of some 12 images, stacked with Helicon Focus. Canon ipF6350 Review: Part III: paper error?